Succulents are plants that store water. Derived from the Latin word sucus, which means juice or sap, these plants are often considered to be drought-resistant. This diverse group of plants is popular for the home gardener and generally don’t require a large amount of maintenance. Because of their low-maintenance nature, succulents are popular as houseplants in all areas of the United States. Succulents are usually characterized by thick, rubbery, or “fleshy” parts. However, there are many options and these plants come in an array of shapes, sizes, textures, and colors. 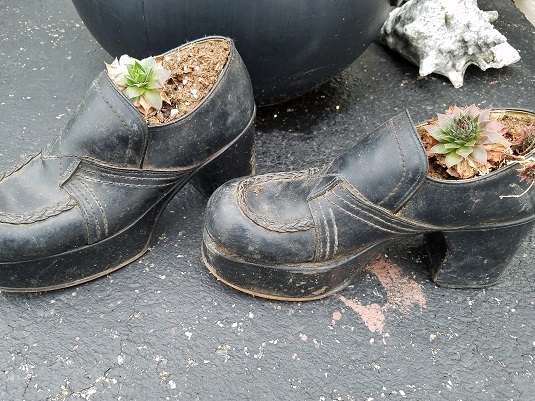 Succulents are often noted for their exotic or unusual appearance. 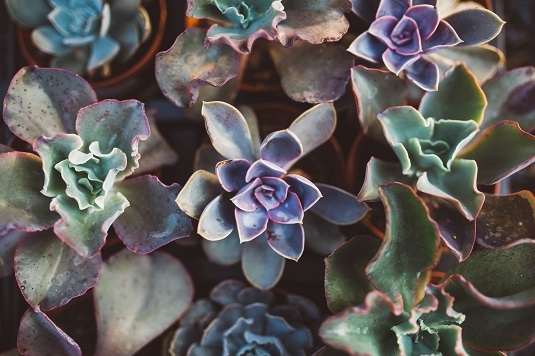 Succulents are typically adorned with thick leaves, stems, or roots. The thicker parts of the plant are used to store water. These plants are common in geographic locations that experience high temperatures with little rainfall. They can store water to survive long periods with little or no moisture. Native to areas like deserts or steppes, these plants will usually appear swollen when preserving water. Native to arid areas, succulents cannot survive in freezing temperatures. While some may last through a brief spell, these plants will thrive in warmer temperatures. They are often characterized by spiky, needle-shaped or rosette-shaped leaves. Succulents are also unusual because they propagate easily. On occasion, a new plant will even grow from a piece of fallen leaf. As water hoarders, these plants will actually die if left in too much water. The variety of succulents is a true testament to the diversity of the plant world. From exotic to commonplace, these plants can be basic or robust. Cacti are one of the most recognizable succulents. However, botanists often refer to cacti as a separate variety. This list barely scratches the surface. Check succulent-plant.com for a more comprehensive list. As part of their exotic nature, these plants are striking and aesthetically pleasing. Succulents require little watering or pruning. They are easy to transport from their native areas because of their low-maintenance nature. Easy to contain, these plants can be placed in small pots and placed almost anywhere. Most pests are not attracted to succulents. Succulents can be planted alone or among other plants. Many types of succulents are inexpensive. Some, like aloe, even have alternative or medicinal uses. Succulents make great house plants or an addition to your garden and do not require a large amount of care. Check out our tips for growing and caring for succulents.